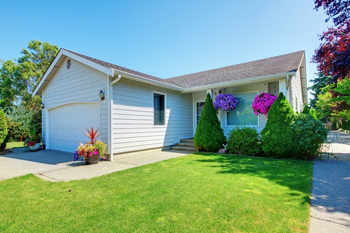 Trained garage door repair technicians can keep all garage systems stable with immediate replacement services, great repair parts and excellent repairs. It’s hard to trust and be confident with a service company especially if it is the first time you are hiring them. However, this was not the case the first time I called garage door repair Hicksville. The way they handled my call and assisted me for the services I required made me feel comfortable and confident with their company. They are a passionate company with experts and professionals. And when they arrived to work on my garage door, I was not disappointed as they fulfilled all the promises they gave over the phone. My jammed door was fixed in no time, and they made it look very easy. My home features a pretty old-looking, but very beautiful wooden garage door. However, maintaining it on my own can prove to be very challenging, as I don’t possess the necessary skills and equipment to keep it in perfect shape. Further, I don’t want to leave the job with regular repairmen who do not specialize in garage doors. 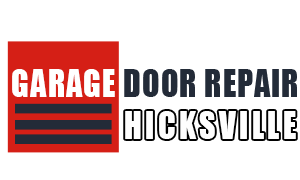 That is why I’m very happy to have found garage door repair Hicksville online. They’re a team of experts and professionals who can service both old and new garage doors and keep them in their best condition. Even if my garage door is old, my friends are all jealous of its classic look. I got the best service from Garage Door Repair Company in Hicksville. I needed a garage door opener but had no idea what type I should get. The experts from this company explained my options. I didn’t know about the chain, screw, and belt drive openers until they told me. Moreover, I learned about the different security features to look for, including the sensor and auto reverse. I purchased the best opener with their help and had it installed by them. They explained what they were doing, as well as showed me how to operate it. Everything was working fine when they left. This company is highly recommended. When my garage door clicker was broken, I called Garage Door Repair Hicksville for replacement. At that point, they could only provide me with a universal remote. They suggested a low-cost one since soon it would be used as an alternative solution. I had already ordered the remote I wanted but I really appreciated their honesty, immediate response, and assistance. In fact, their help in selecting a new clicker was fantastic. They emphasized my needs and the right price. They didn't want me to get an expensive one if I was to replace the opener pretty soon. Very honest pros!